BRIGHTON BEACH, Brooklyn — Police officers are being praised after they a baby stopped breathing in Brooklyn Saturday evening. 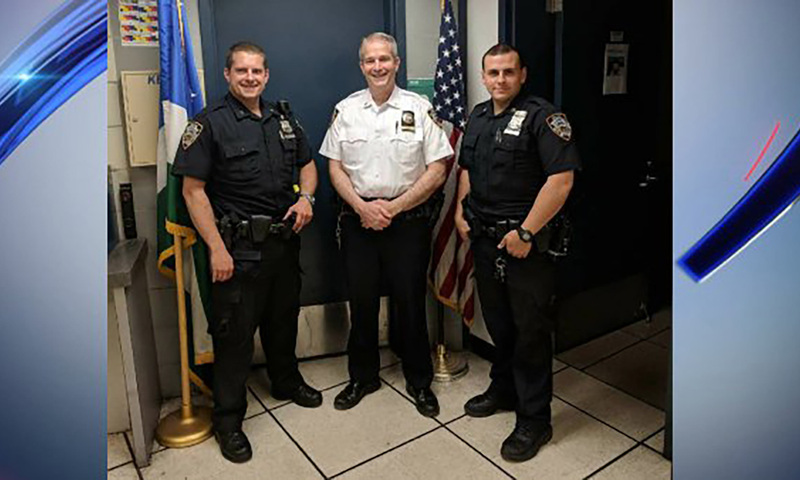 Officers Michael Pace and Joseph Doyle were in a marked police and stopped at a red light along Ocean Parkway and Brighton Beach Avenue when a woman holding a baby frantically banged on their window, authorities said. The woman was screaming that her baby wasn’t breathing, said police. The officers exited their car and observed the 15-month-old girl was turning blue and not breathing, said cops.